The new Amazon Brand Registry requires sellers using the Amazon e-commerce platform to have a federal registered trademark in order to qualify for enhanced trademark protection offered through the program. Previously, online merchants could register with Amazon’s Brand Registry by meeting just a few simple requirements. You had to show you own a domain name that displays your brand or trademark, show that your brand or trademark is visible on your packaging, and show that the brand appears on the actual products themselves. manufacturers were faced with fighting counterfeit goods offered for sale on Amazon through unauthorized retailers. Stop trademark infringement with Amazon Brand RegistryUnder the new Amazon Brand Registry guidelines, sellers are required to have a registered trademark in order to qualify for the Brand Registry. This means sellers and manufacturers seeking brand protection for their goods on Amazon must first take the affirmative step of applying for and obtaining a federal trademark registration with the United States Patent and Trademark Office (USPTO). What is the benefit of the Amazon Brand Registry? According to the Amazon website, Amazon Brand Registry helps you protect your registered trademarks on Amazon and create an accurate and trusted experience for customers. Enrollment in the Amazon Brand Registry provides access to powerful tools including proprietary text and image search for your trademark, predictive automation based on your reports of suspected intellectual property rights violations, and increased authority over product listings with your brand name. The Amazon Brand Registry empowers brand owners and Amazon to work together to reduce potential intellectual property rights violations and promote an accurate representation of your brand on Amazon. So how do you go about protecting your trademark on e-commerce platforms, such as Amazon? Your trademark name serves as a unique identifier for your specific goods (or services, if you are a service provider). A trademark is any word, symbol, design, logo, slogan or sound that consumers uniquely associate with your goods and/or services in the marketplace. The first step to qualify for the new Amazon Brand Registry program is to apply for federal trademark registration with the USPTO. There are certain requirements your trademark, and ultimately your trademark application, must meet in order to obtain registration. The first requirement for trademark registration is that your trademark must be distinctive. 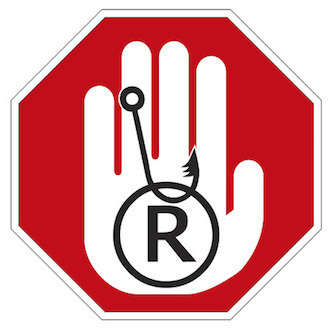 Descriptive or generic trademarks will not qualify for trademark registration. A descriptive trademark describes an ingredient, quality, characteristic, function, feature, purpose or use of the specified goods or services. A generic trademark is the common name by which the product is called. These marks will be refused at the USPTO. The more unique and distinctive your trademark, the greater likelihood of approval for your trademark application. Trademarks are organized in Classes. There are 45 different Trademark Classes covering nearly every product or service. You must specify the goods and/or services you offer, or plan to offer under your trademark. There is no option for a general, “catch-all” trademark. Depending on what you are offering, your mark may fall into certain goods classes, and service classes. If you think of many popular retail brands – H&M, Tiffany, Gap, Apple – they are protected for goods and services. Applying for and obtaining trademark protection for specific goods and/or services ensures that you will have exclusive rights to use that name in connection with those goods or services. Like any other trademark, the first step to protecting your trademark on Amazon is to start with a comprehensive trademark search. This will provide important information regarding your trademark, including whether it is already in use or registered by another user. It’s important to conduct a Comprehensive Search (and not simply a free federal search) because there may be potential common law use of your trademark name that would not show up in the federal trademark database. This includes others who use the same trademark name or something very similar as a legal company name, as a DBA (Doing-Business-As, or Fictitious Name), or on social media. Once the trademark search shows that the brand or trademark you want to protect on Amazon is available and does not infringe on anyone else’s trademark rights, you can apply for federal trademark registration with the USPTO. A federal registered trademark gives you nationwide priority ownership rights in your brand name. Having a federally registered trademark strengthens your intellectual property rights. Amazon and other online marketplaces like Etsy have policies to safeguard the trademark rights of sellers on their respective sites. This includes rules prohibiting the sale of counterfeit goods, and any products that have been illegally replicated, reproduced, or manufactured. Under Amazon’s new Brand Registry rules, however, only registered trademark owners are eligible for the added protections afforded by the program. You may submit a claim of copyright or trademark infringement for competing listings selling your goods, or goods under your brand name without permission. Since having a federally registered trademark creates a presumption of ownership in your favor, the Amazon Brand Registry is designed to minimize the amount of verification you need to prove ownership in the trademark or brand at issue. If you have any questions about protecting your trademark on Amazon, or if you need assistance in seeking federal trademark protection for your storefront or goods, please contact us for a complimentary consultation. We’re always happy to hear from you!